The Short Stay 2 car park (Formerly Express Park) at East Midlands Airport offers affordable and reliable parking, meaning you can save extra money for your holiday. The car park is within close proximity to East Midlands airport - located just behind the terminal. The process is simple - just pull in, park up and walk to the terminal. The car park is operated by an automatic number plate recognition system. So, when you drive up to the entrance, your car registration will be read and you will receive a ticket to keep until your return. It is important that during the booking process you enter the correct car registration details and keep a copy of your confirmation incase you need the assistance of a staff member. You can see the terminal from the car park. There's no need for a bus - you can walk to the terminal in just a couple of minutes. When you return to the airport, walk back to your car and drive to the exit of the car park and insert your ticket for the exit barrier to open. If you have a problem, press the help button and a staff member will assist you. 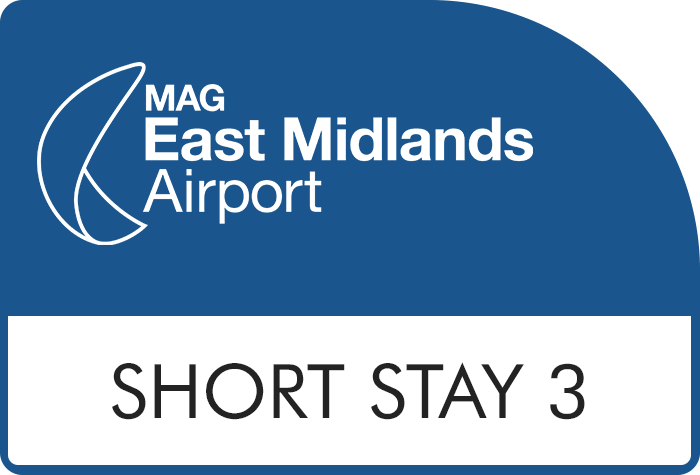 The Short Stay car parks at East Midlands is considered suitable for disabled customers as no transfer buses are needed. It is one of the closest car parks: it takes just 3 minutes walk to the terminal. Short Stay 2 has been awarded with the Park Mark from the authorities which signifies the high level of security provided. It is fully equipped with 24-hour CCTV and operates regular security patrols of the grounds. 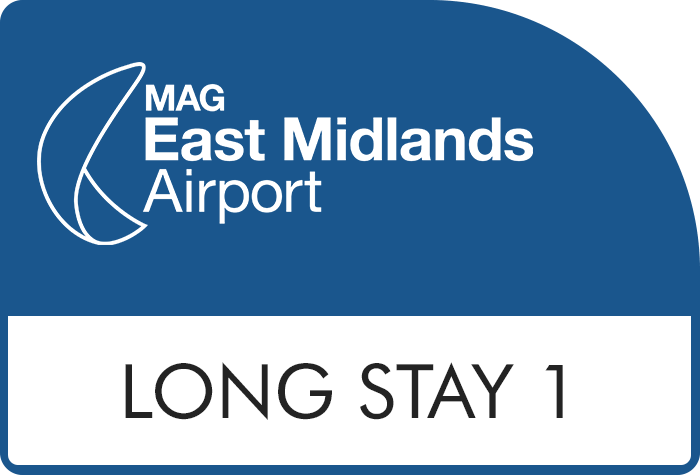 If you're coming from the north, leave the M1 at junction 24 and take the fourth exit at the roundabout onto the A453 Ashby Road. Take the third exit at the next roundabout, staying on the A453. Take the second exit at the next roundabout, then turn right into the airport. Take the first exit at the next two roundabouts onto Viscount Road and follow the signs for Short Stay 2. 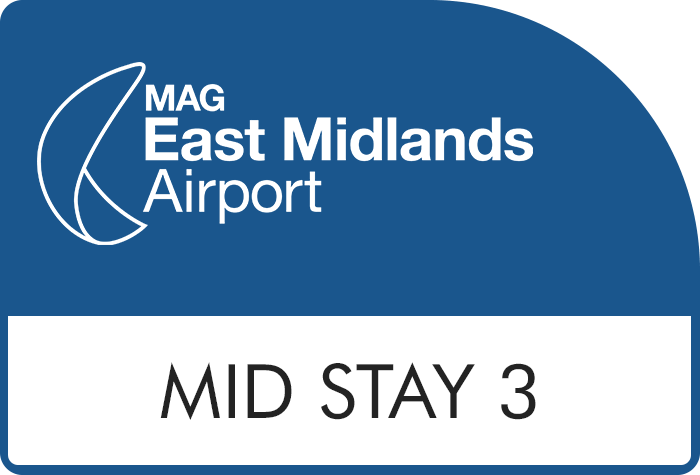 If you're coming from the south, leave the M1 at junction 23a and take the second exit at the roundabout onto the A453 Ashby Road. Take the second exit at the next roundabout, then turn right into the airport. 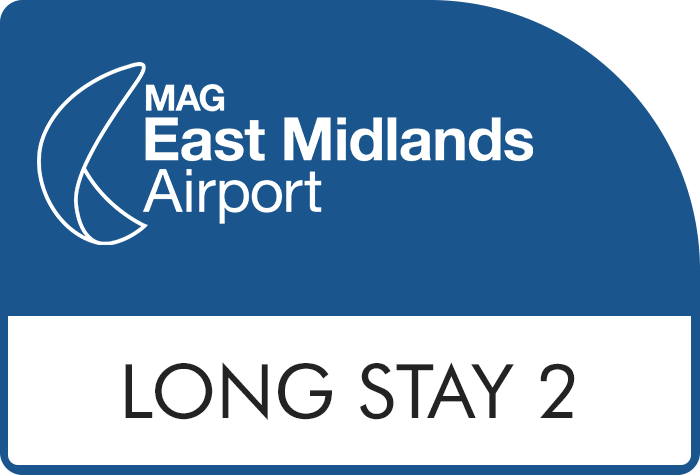 Take the first exit at the next two roundabouts onto Viscount Road and follow the signs for Short Stay 2. Official East Midlands airport parking also offers a meet and greet service, which means that you can drop-off and pick up your car from the terminal. A staff member will safely park your car for you and drive it to the terminal when you return. A great service for that little extra luxury.